Yoga can be a great way for adults to manage stress, but we shouldn't keep it to ourselves! Best-selling author, yoga instructor, and educator, Sara Weis, joins us to share how and why to introduce yoga to children. Sara also shares the top 9 yoga poses for kids and how to find free yoga resources while breaking down her kids yoga books, yoga challenge pose app, and yoga for kids courses for us. Best-selling author, Sara J. Weis, is a creative and passionate teacher who has inspired children for over twenty years. In Go Go Yoga for Kids Sara has combined her experience as an elementary teacher and a certified kid and adult yoga instructor to introduce children to yoga in engaging and child-friendly ways. She is passionate about helping children receive the many mental and physical benefits yoga can provide them both now and throughout their lives. Sara is the author of Go Go Yoga for Kids: A Complete Guide to Using Yoga with Kids, Go Go Yoga for Kids: Yoga Lessons for Children, the creator of the Kids Yoga Challenge Pose Cards and the Kids Yoga Challenge App. She has also created two online Kids Yoga 101 training courses. Sara holds a master’s degree in education as well as a bachelor’s degrees in early childhood and elementary education and has been a classroom teacher for nearly 20 years. She truly knows what works to get children interested and engaged with yoga. 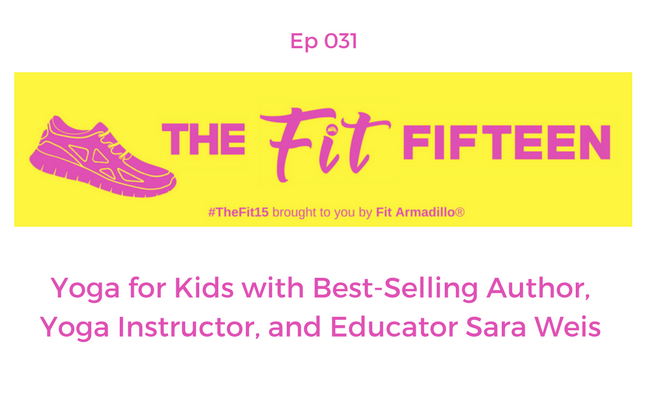 Sara feels strongly about having all of the ideas, strategies, and lessons in one place so that anyone who works with kids will be able to introduce yoga to them with confidence and success. Sara is a teacher for West Des Moines Schools and leads kids yoga classes for a nationally- known health and fitness club. She lives in Iowa with her husband, three children, and yoga pup, Rocky.